Love, love, love this idea! I saw somewhere that you can turn the muffin pan over and spray the UNDERside of the pan. 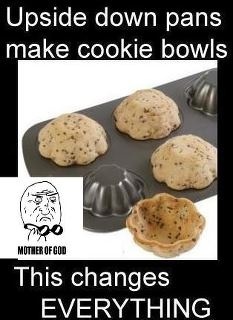 You then take a ball of cookie dough and form it around the outside of the cups and bake as usual.